Add a flash of white to any outfit with this must-have bracelet! 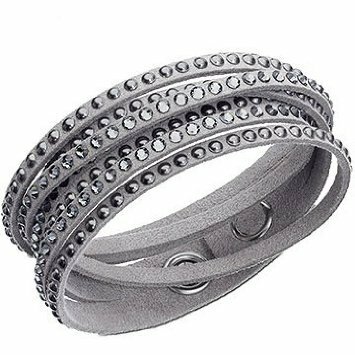 Glittering with clear crystals on light gray Alcantara fabric, it wraps comfortably around your wrist for a twisted look. The closure consists of two clear crystal buttons, allowing you to adjust the size.